Hurry and get your Dakshini membership at special rates for KUMAR SANU tickets! See you at Shravan Sandhya this Saturday evening on July 29th! 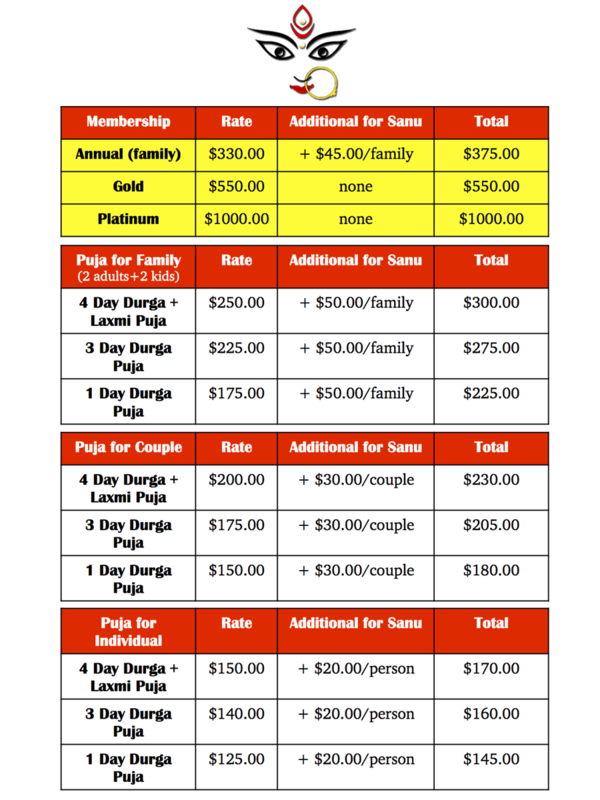 By public demand for the Kumar Sanu program (Sep 30) we are offering SPECIAL Durga Puja rates this summer! Hurry up and become members to avail the special rates! Send checks to Dakshini P.O. Box #14385 Torrance, CA 90503 or click here to pay via Paypal. Shravan Sandhya will be our last event of the summer before the anticipated Puja season begins. Though it is highly unlikely that we will experience rain, we can be drenched with the melodious Tagore songs that Kamalini Mukherji will be rendering! View a message from her by clicking here. Tickets are $20/person, $30/couple, and $35/family. This includes admission, light snacks, and complimentary dinner (goat/veg biriyani, veg chop, and mishti). To avoid shortage and wastage, please click here to RSVP.